Announcing the National Yearlong Leading From The Inside Out 2016-2017 Fellows! Rockwood is proud to announce our 2016-2017 National Leading from the Inside Out (LIO) Yearlong Fellows. 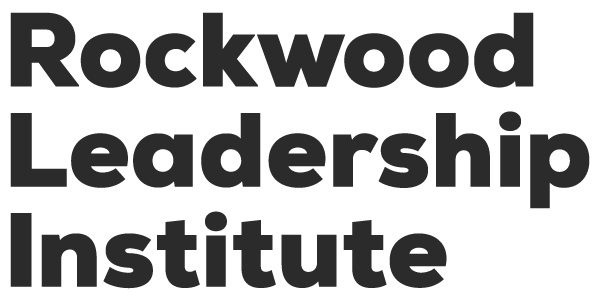 Each year, Rockwood selects a cohort of nationally recognized leaders to participate in our transformative LIO Yearlong fellowship. Since 2003, this executive leadership program has emerged as one of the nation’s leading learning laboratories for experienced social change leaders. National LIO Yearlong fellows must be nominated in order to apply for the fellowship, and the extensive selection process takes into account a great number of factors, including Rockwood’s commitment to build connections between leaders who are diverse in methodology, issue focus, geography, and personal experience and identity. Gustavo brings more than 15 years of experience and leadership as a community organizer, strategist, and campaigner for immigrants’ and workers’ rights to his new role with Mía. Prior to joining Mía, he served as the Senior Organizing Director for CASA de Maryland, the region’s largest immigrant rights organization. There, Gustavo was responsible for designing and implementing the field strategy for every major immigration-related mobilization and direct action in the Capital and surrounding areas, as well as leading successful high-profile campaigns such as the Maryland DREAM Act. The Organization grew to tens of thousands of members during his tenure. Gustavo was also a labor organizer with UNITE HERE! Local 7 and the Change To Win Federation in Southern California. Born in Rio de Janeiro, Brazil, he immigrated to the United States at age 14, and became a naturalized US citizen in 2008. He holds a degree from Goucher College in Towson, MD, and is fluent in four languages. Nicole is the first Director and Counsel of The Brennan Center’s Washington, DC office. She is the organization’s chief liaison to Congress and the Administration, and provides counsel on policy and advocacy strategy. Nicole’s expertise is in the areas of voting rights, and racial and criminal justice reform. She also focuses on indigent defense, and money in politics. She serves as a frequent spokesperson at national and international forums and in media, and has written opinion pieces for several publications, including Roll Call, CNN, and BillMoyers.com. She is the author of the chapter “Voting Rights as a Form of Voter Suppression” in the 2016 ABA book America Votes. Nicole is a former Wasserstein Fellow at Harvard Law School, and is a graduate of the Howard University School of Law and Carnegie Mellon University. Cornell was chosen to be the President of the National Association for the Advancement of Colored People (NAACP) in May 2014. He previously served as President of the New Jersey Institute for Social Justice, and as Executive Director of the Fair Housing Council of Greater Washington. Cornell was Senior Counsel with the Federal Communications Commission (FCC), directing its Office of Communication Business Opportunities, and also served as a trial attorney with the Lawyers’ Committee for Civil Rights Under Law. Cornell attended Jackson State University, where he received a BA in political science, with honors. He subsequently earned his Master of Divinity with a concentration in social ethics and systematic theology at the Boston University School of Theology. He also received a law degree from Yale University, where he was a Senior Editor of the Yale Law Journal, and a member of the Yale Law and Policy Review. Alex is the President of Impact Justice, a national innovation and research center based in Oakland, California. Alex works with a group of justice leaders to reduce the over-incarceration of people involved in our juvenile and adult criminal justice systems, improve conditions and outcomes for those who remain incarcerated and provide meaningful opportunities for the formerly incarcerated rejoining our communities. We believe we must first imagine a better justice system in order to build a better justice system. Alex has worked at the Manhattan District Attorney’s Office, the US Department of Justice, Civil Rights Division, as Counsel to Senator Feingold on the Senate Judiciary Committee, as Executive Director of Vera’s Commission on Safety and Abuse in America’s Prisons, and as founding Director of Vera’s DC office. Before starting Impact Justice, Alex served as President of NCCD. Taifa is executive director of the Georgia Budget and Policy Institute (GBPI), where she provides organizational vision, inspiration, and strategic management to improve economic opportunity for all Georgians. She brings more than 20 years of experience in strategic communications, public policy research, and data analysis in the public, nonprofit, and private sectors. In 2011, she served as the Policy and Communications Director for Georgia Family Connection Partnership, where she co-managed the Georgia KIDS COUNT project. Additionally, she held various positions with the Georgia Academy for Children and Youth Professionals, and MBIA Muni Services/Municipal Tax Bureau Co. in Philadelphia. Taifa was an Education Policy Fellow with the Georgia Partnership for Excellence in Education. 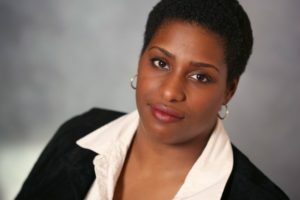 A graduate of the Georgia Academy for Economic Development, she holds a bachelor’s in politics with economics from Mount Holyoke College, and a master’s in public management and policy from the Heinz School of Public Policy and Management at Carnegie Mellon University. Keya is executive director of US Climate Action Network (USCAN), and author of the book The Zero Footprint Baby: How to Save the Planet While Raising a Healthy Baby. Her work focuses on building an inclusive movement in support of climate action. Keya’s commentary on climate change policy and sustainability issues has been quoted in dozens of media outlets including USA Today, the New York Times, The Washington Post, and NBC Nightly News. Prior to joining USCAN, Keya worked at World Wildlife Fund for eight years, and as a Climate Change Specialist at USAID. She also worked at NASA headquarters for four years, communicating climate science. Keya was a Peace Corps Volunteer in Morocco from 1998 to 2000. She serves on the board of the Washington Area Bicyclist Association. Keya received her master’s degree in Environmental Science, and her bachelor’s in Environmental Science and Spanish from the University of Virginia. Rebecca joined the National Council on Disability in 2013, after serving four years in the Obama Administration. Most recently, she was the Special Assistant to the Principal Deputy at the Administration for Community Living at the US Department of Health and Human Services. Prior to her time at the White House, Rebecca was the Confidential Assistant to the Assistant Secretary for the Office of Special Education and Rehabilitative Services. She has spent the last 15 years engaging in discussions tied to civil rights and equity while paying particular attention to the needs of young people with disabilities. She was inducted into the inaugural class of the Susan M. Daniels Disability Mentoring Hall of Fame, and was the recipient of the Frank Harkin Memorial Award by the National Council on Independent Living. Rebecca has a BA in Politics from the University of California Santa Cruz, is the proud spouse of Patrick, and mother of Jackson and Kaya. Stosh first joined the Bend the Arc staff in 2003 to develop and direct the highly regarded Selah Leadership Program (in partnership with Rockwood), which has trained over 300 influential progressive change-makers in practicing transformative leadership. She was promoted to Executive Vice President, and named CEO in 2013 after personally overseeing many of the organization’s most significant growth strategies, including multiple strategic mergers, affiliations, and expanding Bend the Arc’s online base. 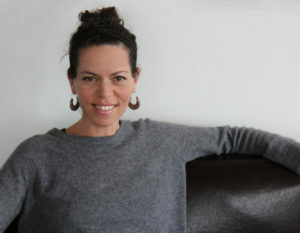 She has led an expansion of Bend the Arc’s grassroots network, raised the organization’s public profile, and launched Bend the Arc Jewish Action PAC, the only Jewish PAC exclusively focused on a domestic, progressive agenda. Before working in the Jewish community, Stosh was a trainer, educator, and community organizer focusing on racial, economic, and gender justice in the Pacific Northwest. Keesha is Director of the Democratic Practice Program–United States with the Rockefeller Brothers Fund. As former senior counsel with the Brennan Center for Justice, she directed the Redistricting and Representation Program. Keesha served as Executive Director for the League of Women Voters Minnesota, and as Executive Director for the Minnesota Women’s Political Caucus. She worked for a number of years as a trial attorney, and served as a special assistant appellate public defender for the State of Minnesota. Keesha served as a judicial clerk at the Minnesota Supreme Court. She was also a 2008 Feminist Leadership Fellow with the University of Minnesota Hubert H. Humphrey Institute of Public Affairs, Center on Women and Public Policy. Keesha lectures and writes about women and politics, movement building, and democratic reform, including voter suppression, voting rights, and redistricting. Jessica is the Executive Director of the National Latina Institute for Reproductive Health (NLIRH), the only national organization dedicated to building Latina power to advance health, dignity, and justice for 28 million Latinas, their families, and their communities through leadership development, community mobilization, policy advocacy, and strategic communications. Jessica has been a leader in progressive movements for nearly two decades, successfully forging connections between reproductive health, gender, immigration, LGBTQ liberation, labor, and Latino civil rights, breaking down barriers between movements, and building a strong Latina grassroots presence. She is a former elected member of the New York State Democratic Committee, and an Adjunct Professor of Latino and Latin American Studies at the City University of New York. Jessica holds a master’s degree in Public Administration from New York University’s Robert F. Wagner Graduate School of Public Service, and a certificate from Columbia University’s Graduate School of Business. She lives in Queens, NY with her partner and child. Amy is founding executive director of Policy Matters Ohio, which creates a more equitable, vibrant, sustainable, and inclusive Ohio through research, coalition building and advocacy. Policy Matters’ easy-to-read, impossible-to-refute research helps build the movement for environmental, economic, and racial justice. In Ohio and nationally, she elevates a progressive economic vision and supports partnerships between community organizers, worker advocates, and policy leaders. Amy is board vice chair of the national think tank Demos, and serves on governing bodies for the national Economic Analysis and Research Network (EARN) and State Priorities Partnership. She helps steer several vitality efforts in Cleveland. She has an MPA from University of Wisconsin-Madison, and a BA from Cornell. Before starting Policy Matters in 2000, Amy did policy work in Wisconsin, Colorado, and DC. Now in America’s most important swing state, she provides a passionate voice about how to make an economy that works for all. Karen has worked for three decades advancing reforms that make government open and accountable, and amplifies the voices of ordinary people. As Senior VP, Karen led the strategies to curb the outsized influence of big money in politics and to expand voting rights. She oversaw a dramatic expansion of Common Cause’s digital presence, bringing in hundreds of thousands of new members and supporters. 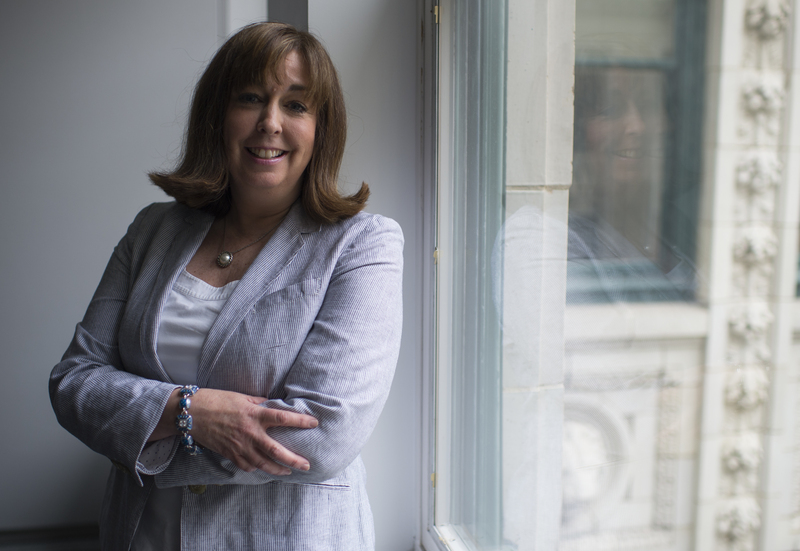 As VP for State Operations, Karen oversaw 35 state chapters, working to develop and implement strategic campaigns for campaign finance, elections, redistricting, and ethics reforms. She expanded Common Cause’s presence to include Michigan, Minnesota, Illinois, Oregon, Ohio, Florida, Vermont, and Hawaii. In 2005, she was a key leader of the campaign that won the Connecticut’s first legislatively-passed clean money public financing system for statewide and legislative races. From 2006 through 2012, Karen worked to implement and strengthen the Citizens’ Election Program. Solomé is the co-founder and director of Africans in the Diaspora (AiD) at International Development Exchange (IDEX). AiD aims to unleash the philanthropic and intellectual capital of the Diaspora to advance sustainable development in Africa. She was also one of the leading forces behind Africa Responds, including #UnitedAgainstEbola. Previously, she served as a Global Fund for Children’s Senior Program Officer for Africa for over five years, managing a large portfolio that included work with over 100 grassroots organizations in about 25 countries. Solomé received a master’s degree in public policy from the Harvard Kennedy School, and an undergraduate degree in international relations from Stanford University. She was recognized as a White House Champion of Change for her work with Diaspora communities and featured in media publications such as Forbes and the Washington Post. Jackie has worked at the intersection of innovation, technology, and social change for the last decade, after cutting her teeth in the immigrant rights movement. Before taking the helm as Executive Director in 2016, Jackie started the first Innovation Department at Citizen Engagement Laboratory (CEL), and served as Founding Director of OPEN-US (Online Progressive Engagement Network, US). As an outgrowth of this work, Jackie co-founded the Kairos Fellowship, which in its first year placed more than a dozen rising leaders of color with innovative campaigning teams across the country to build skills and strengthen the talent pipeline of digital leaders. Before her time at CEL, Jackie served as Director of Organizing, then Director of Storytelling at Change.org. Prior to that, she led online strategy for the immigration reform advocacy group America’s Voice. Jackie currently serves on the Board of Directors of Netroots Nation and CodeWalker Academy, whose mission is to build the pipeline of women and minorities into tech. Veronica is a Co-Director at Centro de Trabajadores Unidos en la Lucha (CTUL), a Workers Center in Minneapolis. For over eight years, she has organized and developed leadership with low-wage workers to fight for fair wages and working conditions in industries across the Twin Cities. CTUL plays a crucial role in the labor movement, creating innovative models of organizing. Most recently, CTUL organized retail janitors across the Minneapolis metro area, resulting in Target implementing a Responsible Contractor Policy with its cleaning contractors, as well as industry-wide wage increases. This policy is the first of its kind in this industry nationwide, and ensures organizing rights for janitors who clean Target. Workers continue to sit at the table with Target, and have partnered to win earned sick and safe time in Minneapolis. Before that, Veronica organizing hotel workers with the Hotel Employees Restaurant Employees Union (HERE) in Chicago. Since 2007, Amisha has served as Executive Director of Grassroots Collaborative, which organizes to win racial and economic justice in Chicago and statewide. The Collaborative educates and mobilizes Illinois residents to build power for working families by fighting for progressive revenue solutions, living wage jobs, and quality public schools through cutting edge campaigns that directly take on austerity. This follows six years at SEIU, where Amisha organized low-wage workers of color, and worked in coalition with community organizations to fight Chicago school closings and privatization. Prior to that, she worked with youth of color in the Bay Area to win gender justice using art. The documentary that her youth created screened in numerous film festivals, and won an Asian Emmy. A graduate of Stanford University, Amisha received the 35 under 35 award for Chicago community leaders, the 2014 Crain’s Chicago Business 40 under 40 award, and was named Chicago Freedom School’s Champion of Justice. Becky is Vice President of the National Education Association, the nation’s largest labor union and professional association for educators. A middle school science teacher with 31 years of classroom experience, she has focused on issues of educator empowerment and student success, diversity, and developing future leaders. She is leading the union’s work to raise awareness, shape district and state policies around racial justice in education and provide resources on restorative practices to end the school-to-prison pipeline. She led the workgroup that produced the Association’s groundbreaking Policy Statement on Teacher Evaluation and Accountability, NEA’s first broad endorsement of the need for a student-centered, educator-led evaluation, and shared accountability system. Becky received her Bachelor of Science degree in elementary education from the University of Pittsburgh, and a master’s degree in education from Pennsylvania State University. Alberto was introduced to organizing at the University of California, Los Angeles, where he graduated with a degree in Political Science. After UCLA, he spent the next 11 years organizing in different capacities, leading Community Coalition through major victories in advancing racial justice, economic justice, food justice, and education equity. From 2009 to 2011, Alberto worked for the Obama administration in the U.S. Department of Education as Director of Community Outreach, where he organized the Department’s first National Youth Summit, and worked with thousands of community leaders across the country on turning around the nation’s “push-out” crisis. Alberto returned to Community Coalition to lead its mass-based civic engagement strategy to organize 40,000 African-American and Latino voters in various campaigns before becoming the organization’s President and CEO in 2015. Alberto is the son of Mexican and Costa Rican immigrants. The youngest of three, Alberto is the product of his family’s hard work and sacrifice. Ahniwake is the Executive Director of the National Indian Education Association (NIEA), the most inclusive Native education organization in the Country. NIEA advocates for educational excellence, opportunity, and equity for all American Indian, Alaska Native, and Native Hawaiian students through active support of traditional Native cultures and values. Prior to joining NIEA, Ahniwake served as the Policy Director with the National Congress of American Indians, where she led its policymaking efforts on education and health. She has also served as a consultant to the US Department of Education working on implementation of Executive Order 13336, ensuring that Native students receive comprehensive, culturally-based education. Ahniwake serves on the Governing Board for the Campaign on High School Equity, and sits on the US Department of Education’s Equity and Excellence Commission addressing funding inequity in our Nation’s schools. She is a member of the Cherokee Nation, and is also of Muscogee descent. Rose holds a MA in Health Communication. Russell is the deputy executive director of the National LGBTQ Task Force. Founded in 1973, the Task Force advances full freedom, justice, and equality for LGBTQ people. It is the progressive voice in the LGBTQ movement, and the LGBTQ voice in the progressive movement. Russell leads the organization’s day-to-day operations and oversees its programmatic and policy work. Prior to becoming deputy he was the Director of Movement Building, managing the organization’s leadership development and capacity building programs, including Creating Change, its annual conference. Russell has also previously served on the staffs of the San Diego LGBT Center, the National LGBT Latina/o Organization (LLEGO), and the Gill Foundation. Additionally, he has served in various leadership capacities on the boards of directors of several nonprofit organizations, large and small, local and national. When not at work, he can be found SCUBA diving or living his life on the dance floor. umi selah, formerly known as Phillip Agnew, is a native of Chicago, Il. He found his voice as a community activist while a student at Florida A&M University. In 2005, he helped to organize students from FAMU, Florida State University, and Tallahassee Community College in the creation of the Student Coalition for Justice, which was formed in response to the murder of Martin Lee Anderson in a Florida boot camp. In 2012, he co-founded the Dream Defenders, an organization founded after the murder of Trayvon Martin, and committed to ending youth arrest in Florida by 2022. He now serves the organization as its Co-Director. Alex is Executive Director of the Chinese Progressive Association (CPA). With over 15 years of experience organizing for social and economic justice, Alex has played a leadership role in building CPA’s service, organizing, and civic engagement programs. Previously, Alex served as the Campaign Coordinator where he built CPA’s Worker Organizing Center, and led campaigns to organize workers, winning millions of dollars in back wages. Alex has also played a key role in local, state, and national movement building. He was a co-founder of San Francisco Rising, a grassroots multiracial electoral alliance and regional anchor of California Calls. Alex also serves on the Steering Committee of AAPIs for Civic Empowerment, a new statewide initiative to build grassroots civic engagement infrastructure. He co-founded Seeding Change – a Center for Asian American Movement Building, a national project that includes building a national pipeline for the next generation of organizers. Dorian is a Fellow at the Roosevelt Institute, and Board Chair of the Center for Community Change. A scholar of inequality and American politics, he taught for over a decade at the University of Chicago and Columbia University, where he was co-director of the Columbia University Program on Labor Law and Policy. He is a former MSNBC Contributor, and was host and executive producer of Nerding Out. Dorian has worked with many progressive national and local organizations to advance racial, economic, and social justice campaigns for over two decades. He currently serves on several boards. 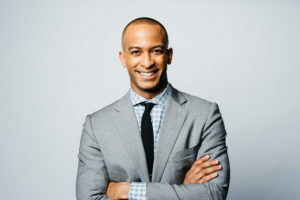 As a commentator on public affairs, Dorian has appeared regularly on numerous television and radio outlets, and written for various publications. In 2013, he was included on the list of theGrio’s list of 100 People Making History Today. After growing up on the South Side of Chicago, Dorian received his BA from the University of Illinois, and his MA and PhD in political science from Yale University. In 2014, Teresa became President and CEO of the Ms. Foundation for Women, the oldest women’s foundation in the United States. Under Teresa’s leadership, the Foundation launched #MyFeminismIs, a multimedia campaign sparking a national conversation on feminism; funded a groundbreaking report on the sexual abuse to prison pipeline; joined leading women’s foundations at the White House to announce a $100 million funding commitment to create pathways to economic opportunity for low-income women and girls; and led a campaign to hold the NFL accountable for violence against women. A noted speaker, advocate, and activist, Teresa has been on the frontlines of some of the most important battles for women’s health, safety and economic justice. In 2016, Inside Philanthropy identified Teresa as one of the “50 Most Powerful Women in US Philanthropy”. She’s a graduate of the University of North Dakota. Since joining the Open Society Foundations in July 2012, Ken has built US Programs’ core commitments related to democratic practice, criminal justice reform, full civic participation for immigrants and communities of color, and equitable economic growth. Ken is also co-director and board member of the Open Society Policy Center. He served on the Presidential Transition Team for the Obama Administration’s Department of Housing and Urban Development. Ken was also Chief Counsel to New Jersey Governor Jon S. Corzine (2006–2008); the founding executive director of the New Jersey Institute of Social Justice, a Newark-based “think and do tank;” and served as a trial attorney in the United States Department of Justice’s Civil Rights Division. He began his legal career as a legal services lawyer in Oakland, CA, and has been a non-resident fellow with the Brookings Institution. He received his BA from Yale University, and his JD from Harvard Law School. Congratulations to this fabulous cohort! An interesting, inter-generational cohort with establishment and radical types. It leaves me hoping that the older, establishment types take time to hear from the younger, radical change makers and learn the importance of having a power analysis when making decisions, showing support, debating strategies, and leading. Here’s to hoping Rockwood helps these high level leaders take time to recognize the importance, value, hard work, intelligence, and leadership of their staffs at their respective organizations – the best ideas sometimes come from the bottom. The best leaders make space for those ideas, and people, to rise.